Brad is a partner in the firm’s Tax and Employee Benefits department. He represents clients across Indiana in matters related to real and personal property taxation, including assessment appeals, requests for tax exemption, defending audits, and defending tax sale proceedings. Brad is part of the firm’s tax litigation team which has one of the largest collections of state and local tax litigation partners in the region.Representing a variety of industries in litigation in state and federal court, Brad has litigated disputes involving business and contract issues, real estate transactions and land use, defamation, and judgment collection. His administrative litigation experience allows him to assist clients across multiple industries. 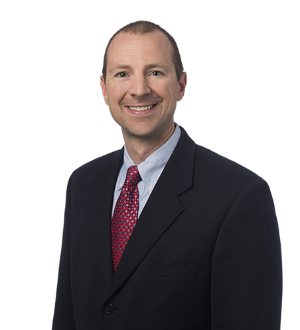 He has appeared before the Indiana Board of Tax Review, Indiana Natural Resources Commission, and the Surface Transportation Board on behalf of his clients.Brad earned his J.D. from California Western School of Law. He earned his undergraduate degree from DePauw University in economics. Brad received admission to the Indiana Bar in 2000 and the California Bar in 2002.